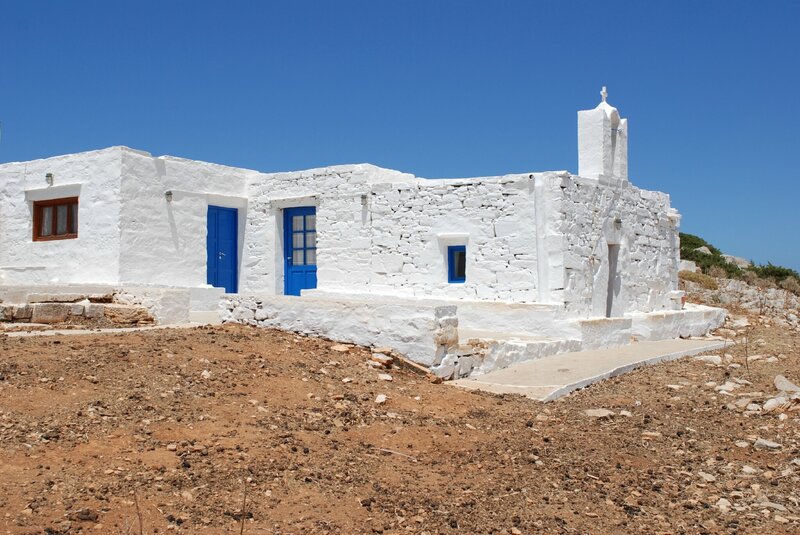 Blog sur l'ile de Sifnos ainsi que d'autres cyclades. Photos et rencontres au fil de nos voyages et des années. 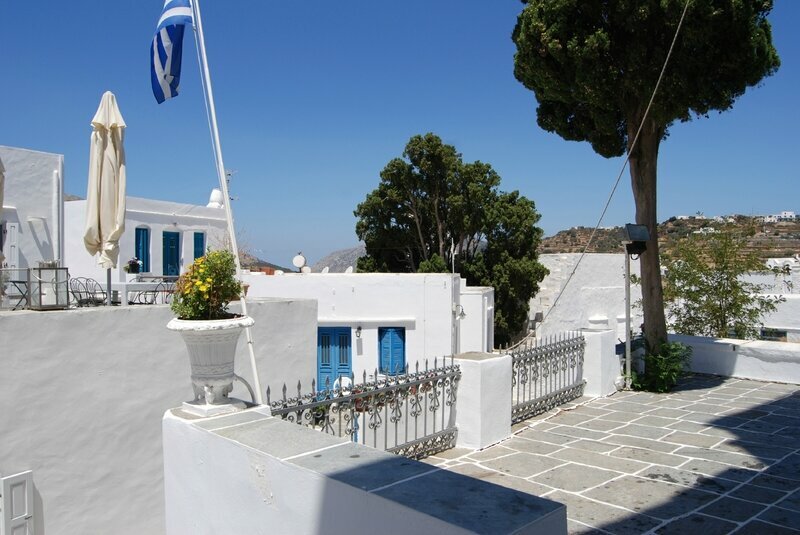 This blog, mainly dedicated to Sifnos Island and some of the others Cyclades we visited, will share pictures and memories from year to year. For this first message in 2018, this trek never done in the past was to reach the church of Ayios Nikita in the North East of the island, very close to the village of Troullaki from where I had started the walk. The way to go there surrounds the mountain "Adri" and looks easy. The purpose of this walk was mainly to have a general overview of a second one I will describe later on, in the direction of Glossa which represents a tongue that flows into the sea with a very small beach nearby. Close to the church there is few farms with goats that allows you a stop under the shadow of a tree. The church itself ows some very nice religious icons and behind start the descent to Glossa. However there is another way to go down but the walk won't be an easy way. Photos of Ayios Nikita at "Ayios Nikita 2017".